That's more than 50 percent off the list price. Even with wireless charging, keeping all of your devices powered up can still clutter your desk. 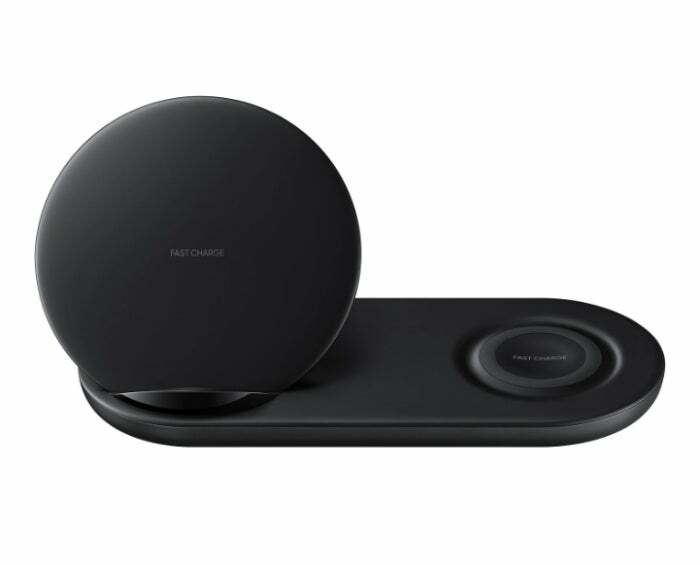 Samsung's solution is the Wireless Charger Duo, a fast-charging pad that conveniently lets you charge two devices at once, but at $120, it's not cheap. Today, however, you can pick one up in black for $50Remove non-product link, the lowest price we've seen by far. This charger provides two charging areas, with one vertical stand (so you can still see your phone) and a horizontal one for lying a device flat. It works with Qi-compatible phones, smart watches (though not the Apple Watch), and other devices, with fast charging available to compatible devices as well. In addition, to keep from overheating, the charger comes with a built-in cooling system that's whisper quiet even with powering two smartphones at once. While we haven't reviewed this charger, our resident Android reporter has great things to say about it, as does Amazon reviewers: it has a 4 star out of 5 rating with 100 user reviews.